Ideal for measuring dynamic pressure. 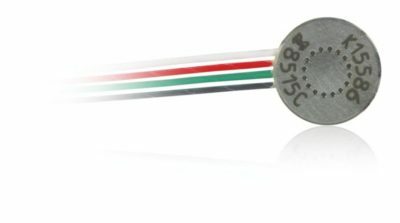 Model 8510B is a rugged, miniature, high sensitivity piezoresistive pressure transducer. It has a 10-32 mounting thread, 0.15 inch (3.8 mm) face diameter and is available in ranges from 1 psi to 2000 psi. High pressure ranges are shown on this sheet. Its high sensitivity combined with high resonance makes it ideal for measuring dynamic pressure. Endevco pressure transducers feature a four-active arm strain gage bridge diffused into a unique sculptured silicon diaphragm for maximum sensitivity and wideband frequency response. 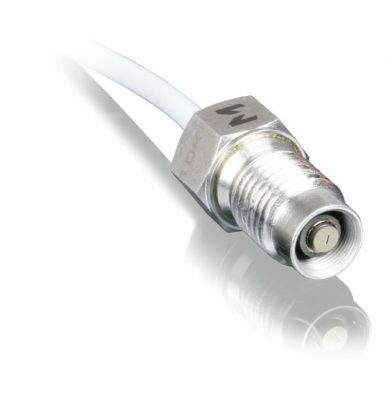 Self-contained hybrid temperature compensation provides stable performance over the temperature range of 0°F to 200°F (-18°C to +93°C). Endevco transducers also feature excellent linearity (even to 3X range), high shock resistance, and negligible sensitivity to temperature transients. 8510B is designed for a wide variety of aerospace, automotive and industrial measurements which require a combination of small size, high sensitivity, and wideband frequency response. Its vent tube may be connected to a standard reference manifold or used for differential pressure measurements.